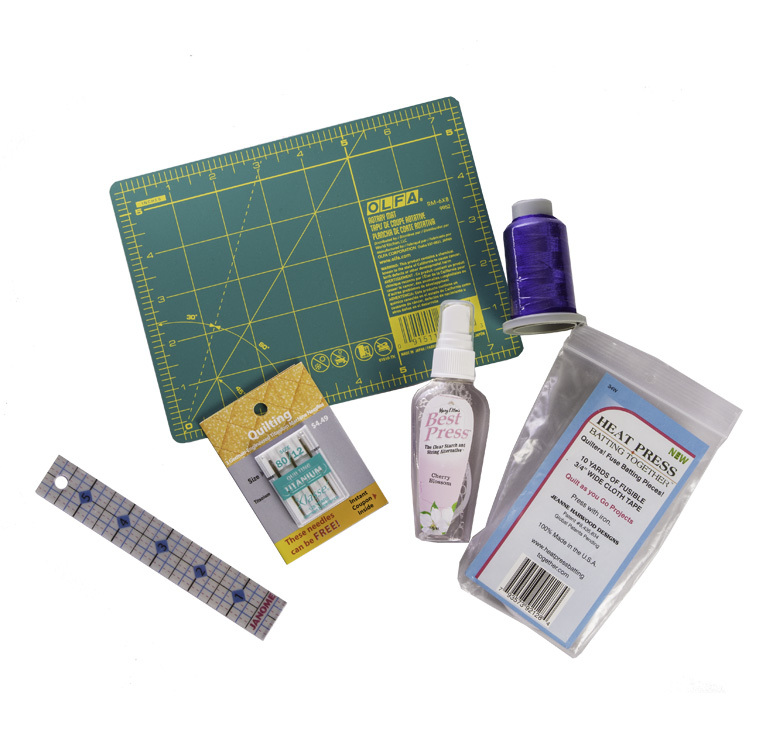 The QuiltCrates Box is a monthly subscription quilting box that's sure to become your "quilty pleasure". It's easy to sign up! And it's only $22.95 plus SHIPPING! Quilt Crates make a terrific gift for the quilter or sewer in your life! Just put their address in the delivery field when ordering and they'll receive the gift that keeps giving each month! Each Quilt Crate comes packed with a yard of high-quality fun fabric. Also inside you'll find notions , patterns, etc. You never know what each month will include but you're gonna love it! Each month we put some of our favorite items together for your quiltcrate. You'll receive fabulous fabric that is "quilt shop quality!" It's a great deal! Only 25.95/month with FREE SHIPPING! Let us INSPIRE you! We're quilters too. With over 30 years in the business we take quilting seriously. We are a monthly subscription box of quilting inspiration. Every month you will receive a box of the newest fabric, patterns and notions to help you create. Each month our boxes are different but they will always include a yard to a yard and two-thirds of quilt shop quality fabric. Some months we feature a pattern (we have featured patterns from Eleanor Burnes, The Lazy Quilter, Fig Tree and Co., and many more). We also include notions (scissors, needles, thread and the latest quilting gadgets on the market) in most of our boxes. A month to month subscription is $25.95 and that includes shipping! When you subscribe you will pay for your 1st month at check out. After that your account will be billed automatically on the 5th of each month. If you subscribe from the 21st-9th your 1st box will ship out on the 10th. If you subscribe from the 10th-20th your 1st box will ship out the 26th. When will my 2nd box ship? After your 1st box all boxes ship out on the 17th. You can cancel at anytime by logging on to your account at Quiltcrates.com or contacting us at Quiltcrates@gmail.com. Please cancel before the 5th of the month if you are not wanting to receive that months box. You can log into your account anytime at Quiltcrates.com to change your method of payment. Right now we ship to anywhere in the United States. We are working on shipping to other countries so hopefully soon the answer will be, EVERYWHERE! How do I show the world the awesome things my QuiltCrates box will inspire me to make? We would love for you to share you amazing creations with us through email or on our facebook page.